CT Tag for ever-creative Foxy's Designz using a stunning new kit that she has released this month to match the Molly Harrison bonus tube. I love the soft and delictate shades that contrast to each, the theme of the kit makes you feel like you are in a forest's mystical garden full of fairies as they find a peaceful spot to rest in their journey. One must also remember throughout life's journey, never let anything dull your inner sparkle - shine from the inside out. You can purchase this beautiful kit here at CDO. 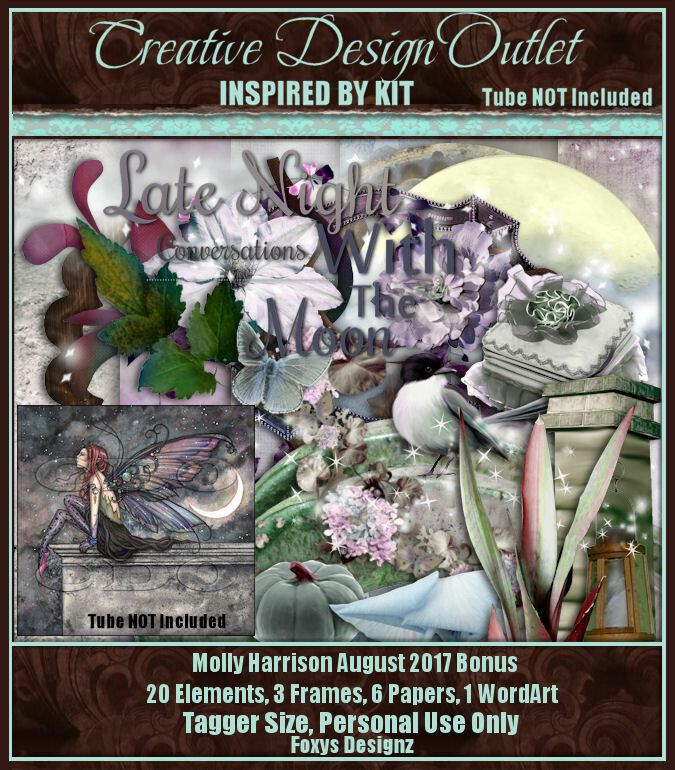 I decided to use this scrapkit with the amazing art of Anna Liwanag, whose art can be purchased here at CDO. You can download this here, in size 1920x1080.